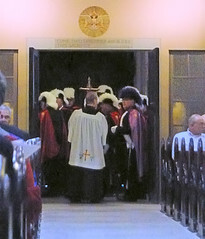 Fourth-degree Knights of Columbus, who act as an honor guard, wait at the door to the narthex. 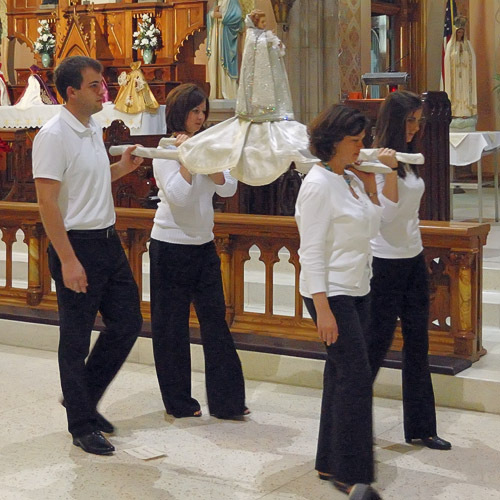 The statue is carried during a procession, while the choir sang hymns in the Czech language. 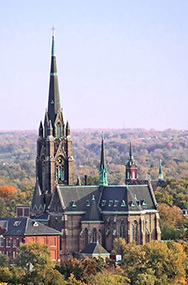 Copies of this statue are found in Catholic churches around the world; but this particular church was founded by the faithful from Bohemia, and to this day, their ancestors keep this devotion alive. Crowning of the Infant Jesus. 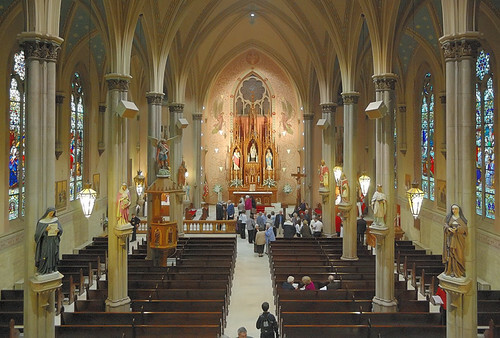 A view of the nave after devotions. 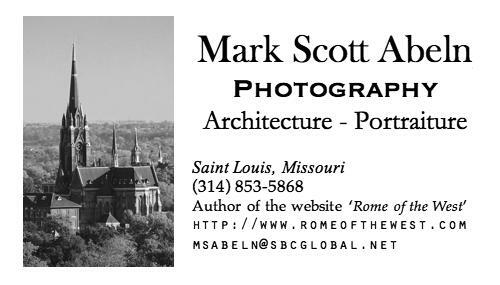 My photos of this church are featured in the book, Catholic St. Louis: A Pictorial History. 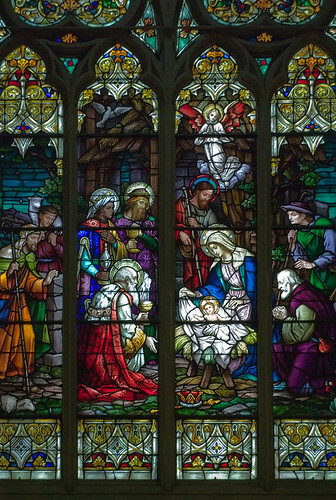 Detail of the church's stained glass window of the Infant Jesus, who is venerated both by shepherds and by kings. Outside of the church are a series of plaques of the church's pastors. Here is Fr. 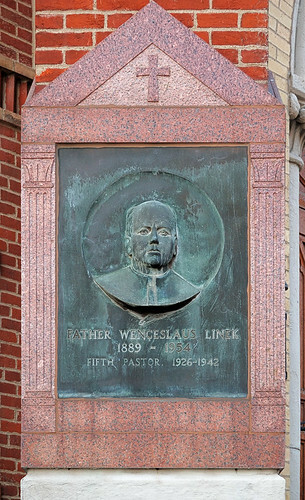 Wenceslaus Linek, whose translation of the Infant Jesus of Prague devotion into English is used today. A more detailed description of the Crowning is presented by Tina, who was also present: click here to read. 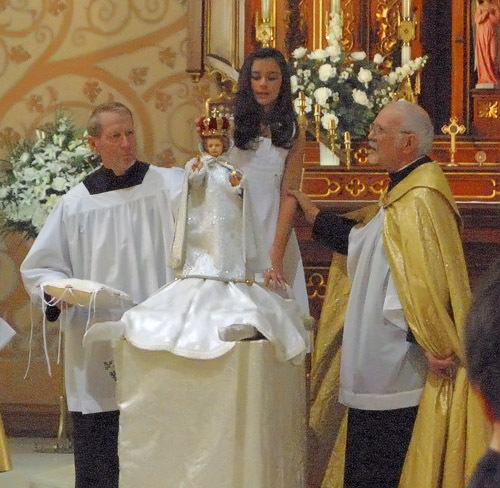 I love the tradition of the Infant of Prague. 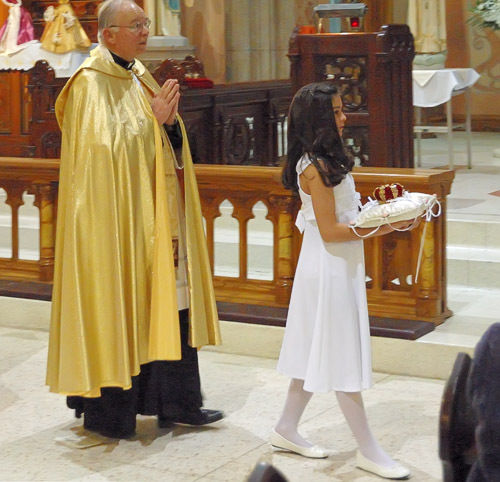 A Czech friend sent my daughter for her baptism an Infant of Prague bracelet from the church in Prague. 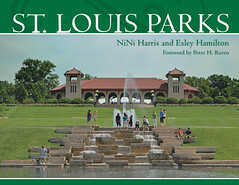 We in St. Louis are lucky to have St. John Nepumuk.